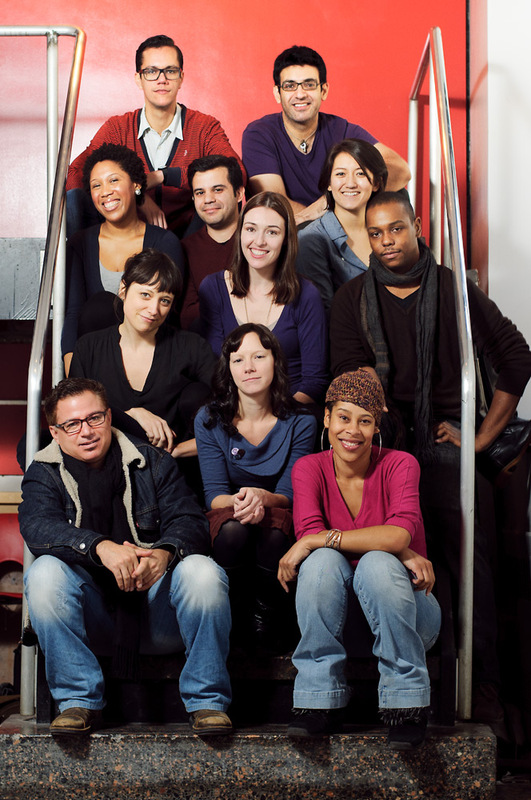 The 2011 Emerging Writers Group class of The Public Theater's Spotlight Series. Photo from The Public Theater. HEAD’S UP: Welcome to the debut of “From the Wings.” It is to be an occasional digest of theater goings-on from theater critic Tamara Beck. While “From the Wings” will usually be published on Tuesday, it may from time to time appear on another day of the week as breaking news dictates. FOREIGNER/foreign take on a new meaning when Leia has to learn a “new culture” after 17 years in boarded-up captivity. This is the premise of “Stockholm, Pennsylvania. 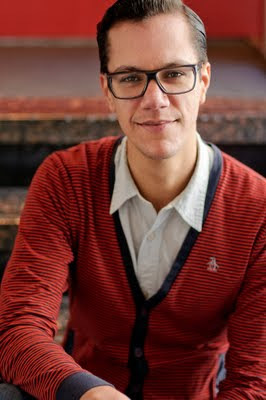 Written by Nikole Beckwith, it is among The Public Theater’s Spotlight Series of free staged readings of new plays by its Emerging Writers Group. The series commences tomorrow with “Mine” from “Laura Marks.” The central character in “Mine” is a mother who is not so sure about her newborn daughter. The Spotlight Series wraps on 28 June. 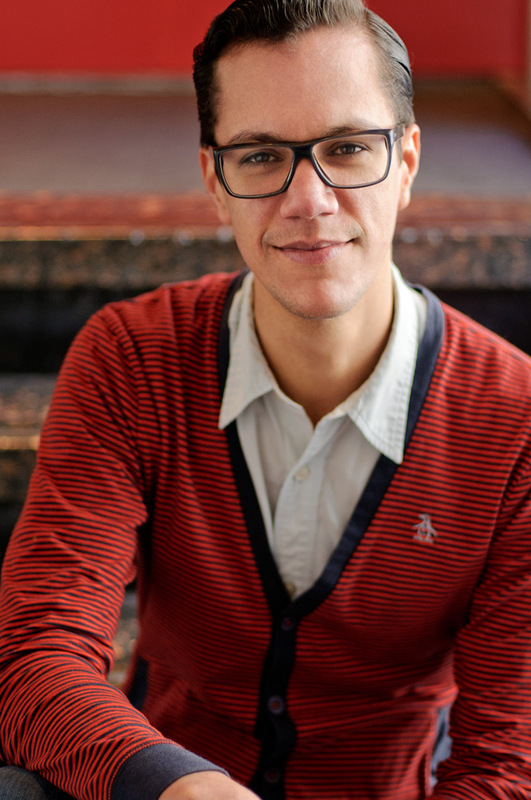 The Public created Emerging Writers Group in 2008 to target up-and-coming playwrights at the earliest stage of their careers. The Spotlight Series gives the writers the opportunity to hear their work, read and staged by theater professionals, in front of an audience. Javierantonio González. Photo from The Public Theater. Javierantonio González is also among the 11 who made the cut from a field of 350 contestants with his panoramic, “Zoetrope,” which closes the Spotlight Series. In “Zoetrope,” two cities, two parts, four decades and more figure in the recounting of two different love stories. Visit http://www.publictheater.org/ to learn more about the Spotlight Series. IT’S been nearly 50 years since the late Joe Papp opened The Public Theater at its grand downtown location off Astor Place. The main stages in the old Astor Library space have been undergoing a renovation and are scheduled for completion at the end of 2012. Now, Joe’s Pub, The Public’s intimate cabaret venue that opened in October 1998, is due for a facelift, too. Joe’s Pub will close for three months beginning on 2 July for a redesign spearheaded by its original designer, Serge Becker. The renovation is to enhance both the audience and performer experience. Standing room will be eliminated, creating more seating which patrons will be able to select and reserve online. Seat layout and sightlines will be improved and the bathroom will be refurbished. Rendering of Joe's Pub interior after renovation. Photo from Joe's Pub. Further, the entrance to Joe’s Pub moves from Lafayette Street to inside The Public’s lobby. New artists get star treatment with dressing rooms. The plans also call for a greatly expanded Joe’s Pub kitchen. Joe’s Pub will officially reopen on 1 Oct. with a limited kitchen until all renovations are completed in the spring of 2012. Visit http://www.joespub.com/ to learn more about Joe’s Pub and for a schedule of events before the closing. Those unsung heroes of Broadway have at least one night to shine. Understudies from "Catch Me If You Can," "Sister Act," "Memphis" and other big Broadway musicals will sing the song that got them their big break at The Understudy's Evening Keen Company's 11th Annual Benefit. The show starts at 6:30 p.m. on Monday at the Manhattan Penthouse. Visit http://www.keencompany.org/ to learn more about The Understudy's Evening Keen Company's 11th Annual Benefit. Kathleen Turner and Evan Jonigkeit in “High.” Photo by Joan Marcus. “HIGH,” the drama starring Kathleen Turner, Evan Jonigkeit, and Stephen Kunken, is the latest victim of bad reviews and poor attendance. “High” closed after just eight shows, despite an interesting script and admirable performances – even an astonishing one by newcomer, EJ. In January, despite the star-shine of its cast – Patti LuPone, Sherie Rene Scott, Laura Benanti and Brian Stokes Mitchell, to name just a few – all of whom gave their high-powered all, “Women on the Verge of a Nervous Breakdown” inexplicably broke down nearly three weeks shy of its intended limited run. It’s not so easy to survive on the Great White Way.